I was in the orange camp, but must admit that "C" turned out pretty! Can't wait to see the combined weave/knit. Your weaving is lovely. My mom wants to start weaving (she is 75) and really not crafty. What brand, etc. do you recommend for a beginner? 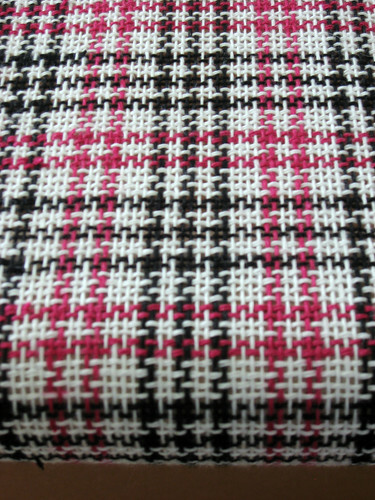 Ooooh, I love this woven fabric. I can't even imagine how you are going to combine it with knitting - can't wait to see! It looks great. I've always thought that handweaving and a bit of knitting would look good together. It's not the one I chose, but it looks lovely woven up! i chose c, so i'm happy! Funny thing - when I just went & looked at them again - C was so clearly the winner to me now. guess they're just all gorgeous. This page contains a single entry from the blog posted on May 27, 2009 8:15 PM. The next post in this blog is When weaving met knitting.